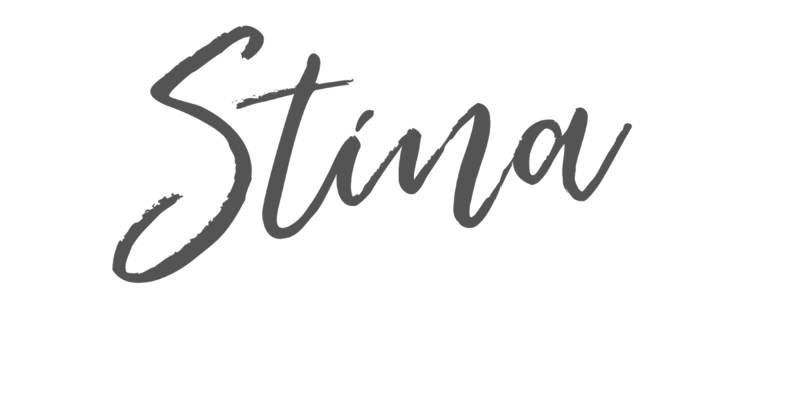 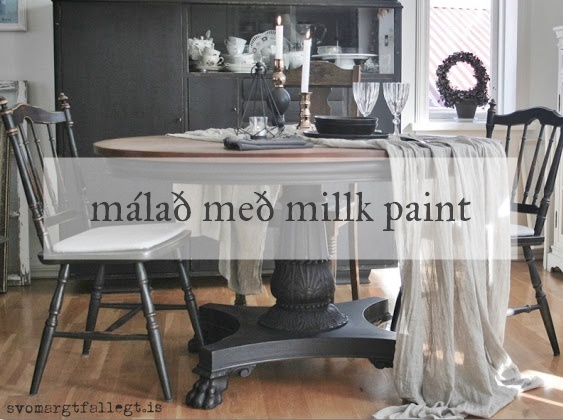 Innlitið á þessum mánudegi er á undurfallegt heimili sem ég fann á siðunni New England Home og í þetta sinn læt ég hluta af textanum fylgja með. The walls of Nancy Ross´s 1847 farmhouse in Dublin, New Hampshire, are painted a gray but there’s no chill here, just serene simplicity. 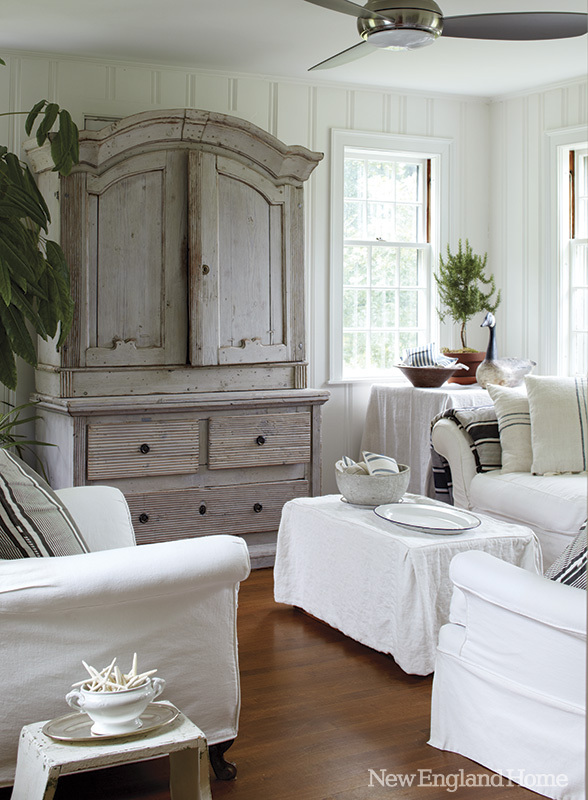 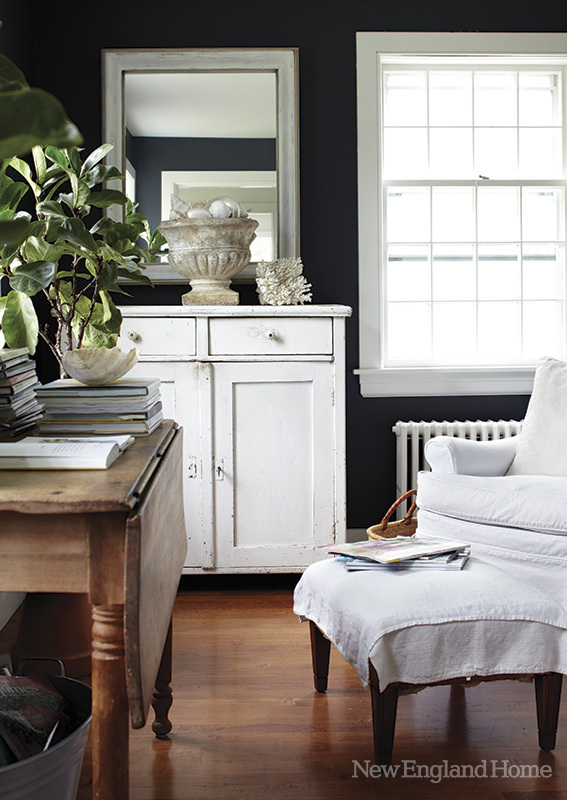 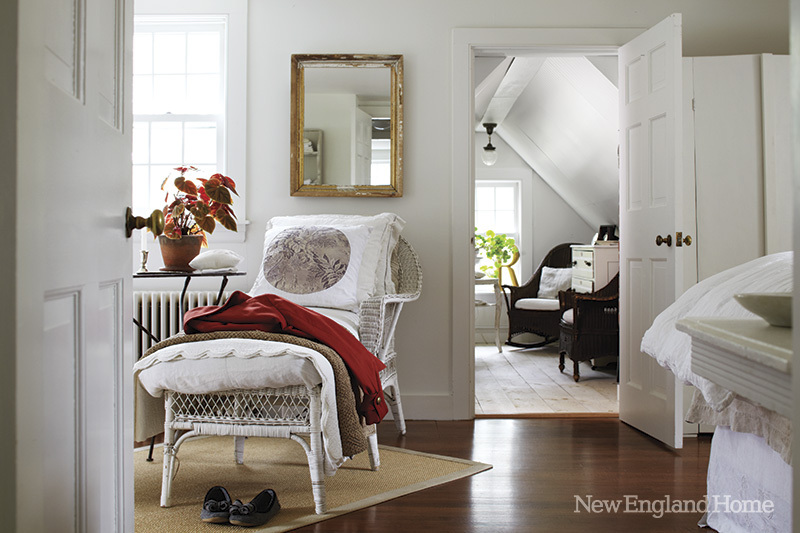 Room after room, gray walls and white slipcovered chairs make up her entire palette. 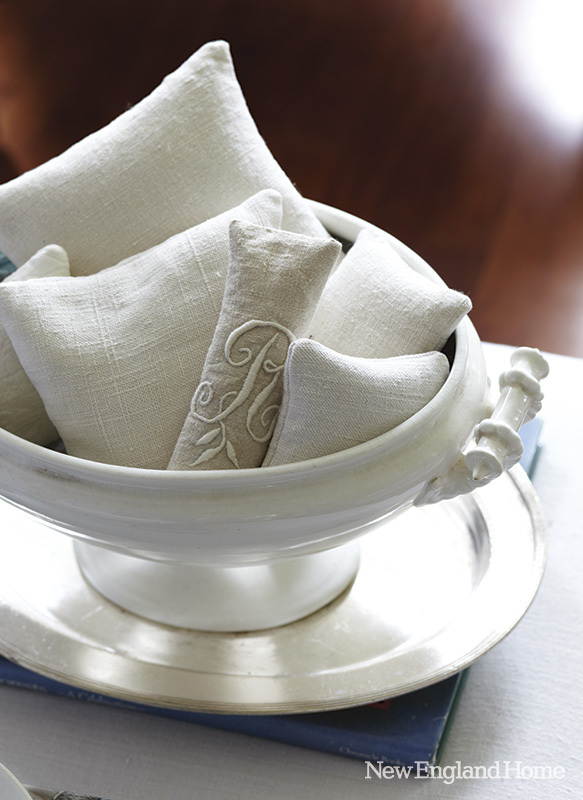 Chairs in prim slipcovers surround the dining room's zinc-topped table. 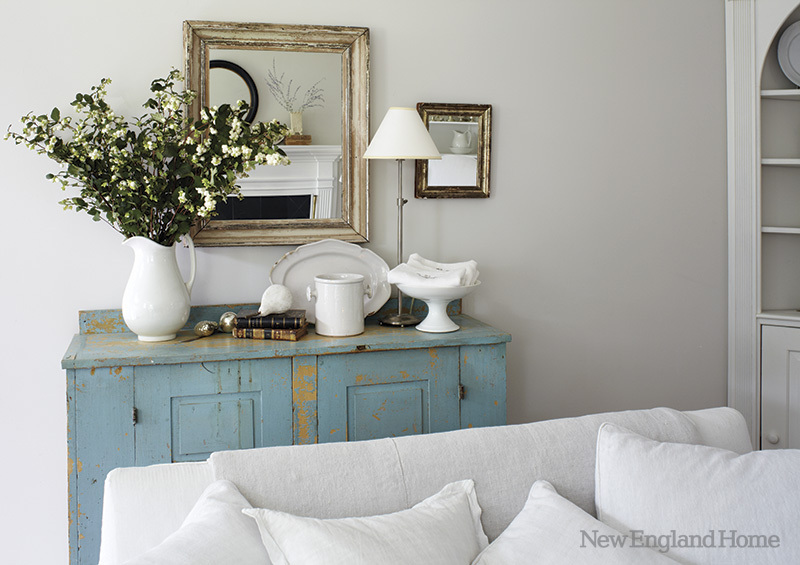 An antique armoire hides today's modern technology in the TV room. 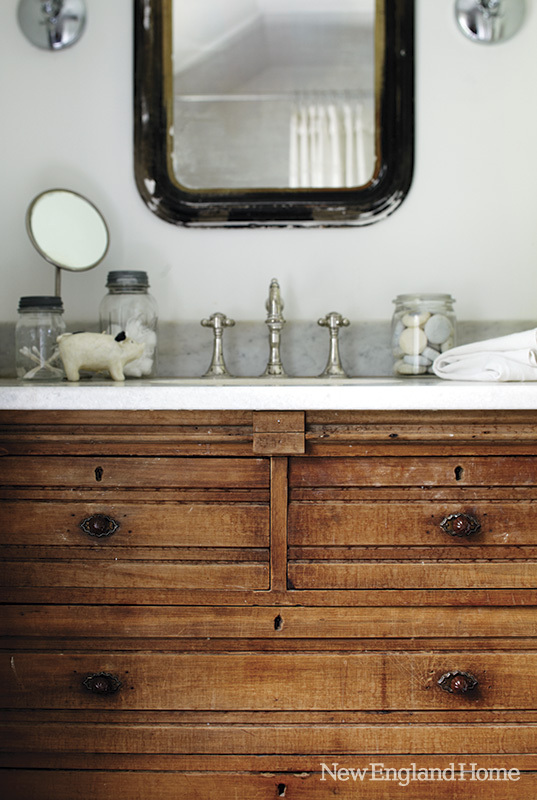 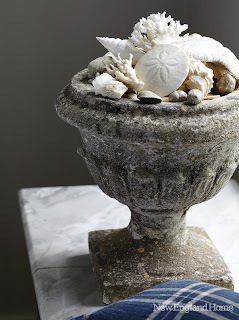 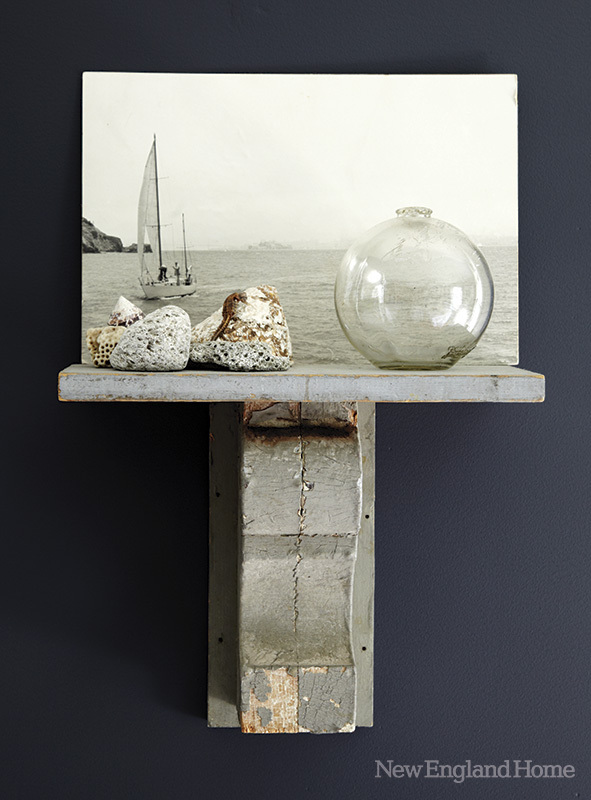 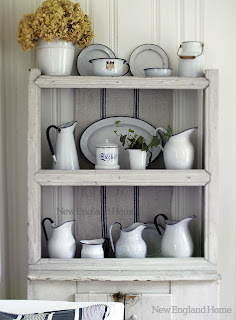 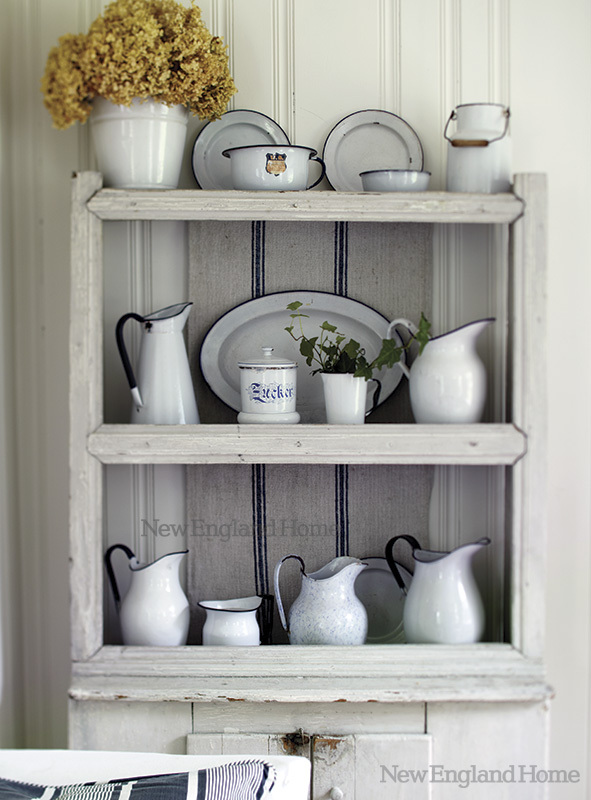 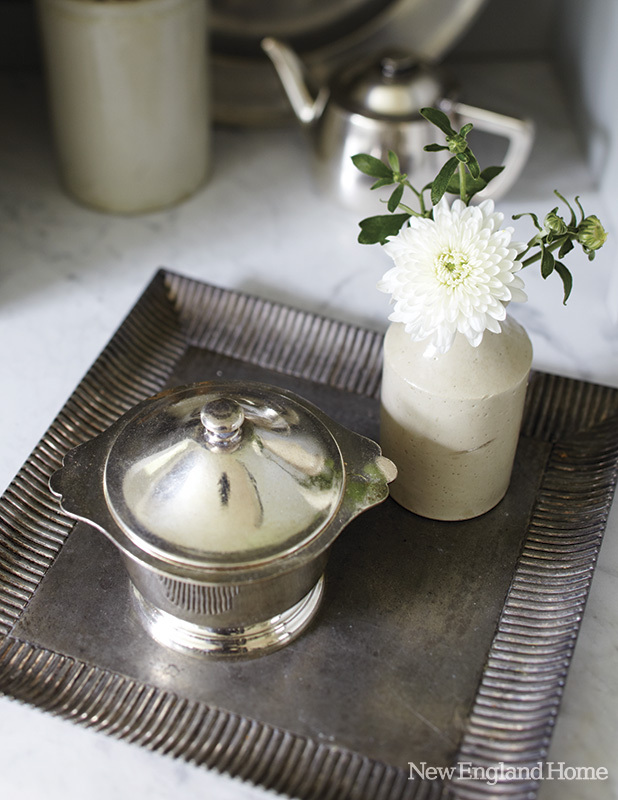 Designer/homeowner Nancy Ross collects German and English enamelware and old tin pieces. 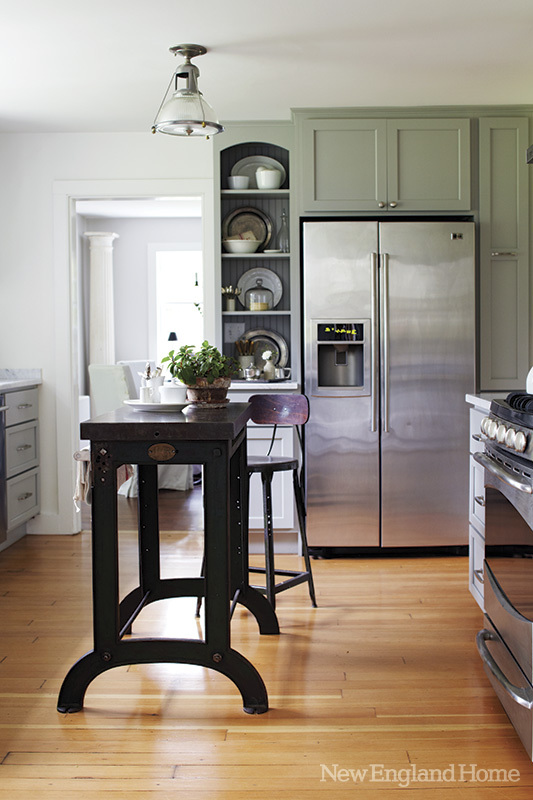 A narrow, steel-topped industrial bench is a perfect fit in the kitchen. 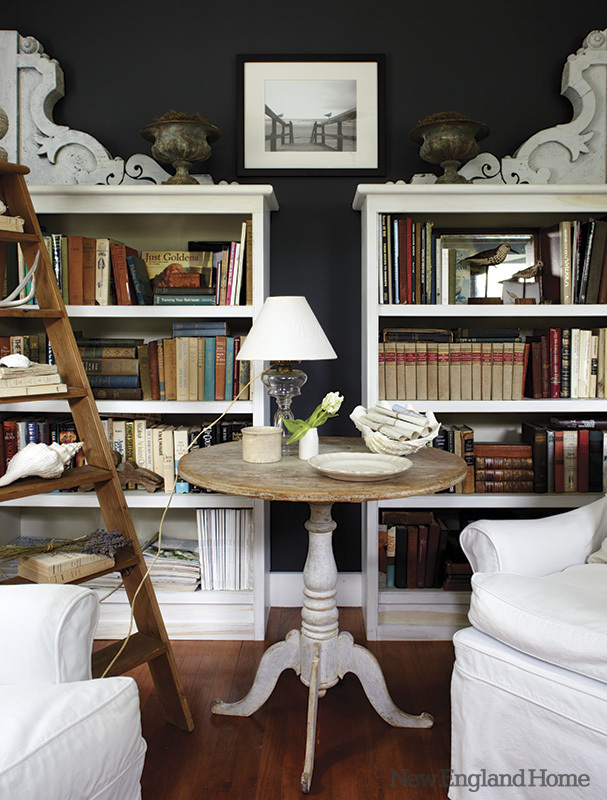 Benjamin Moore's Westcott Navy creates drama in the library. 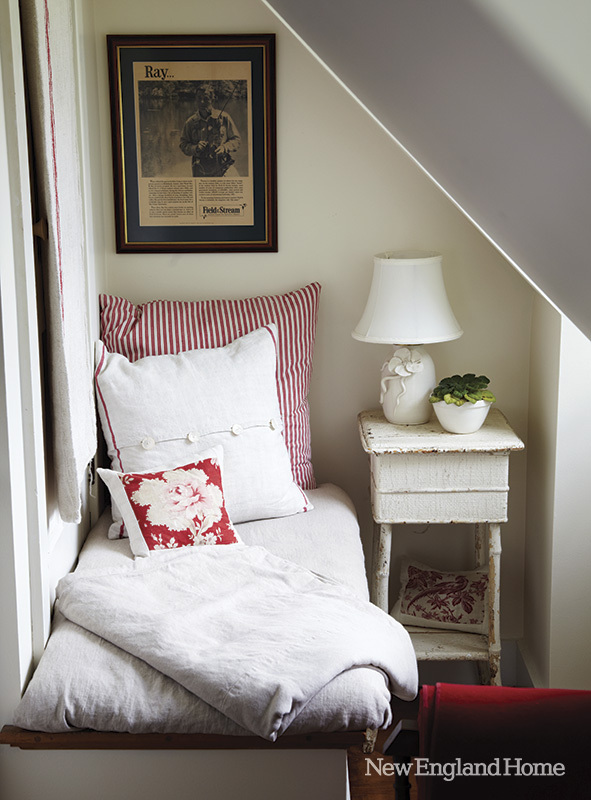 A pillow covered in French fabric highlights a lazy spot in the master bedroom. 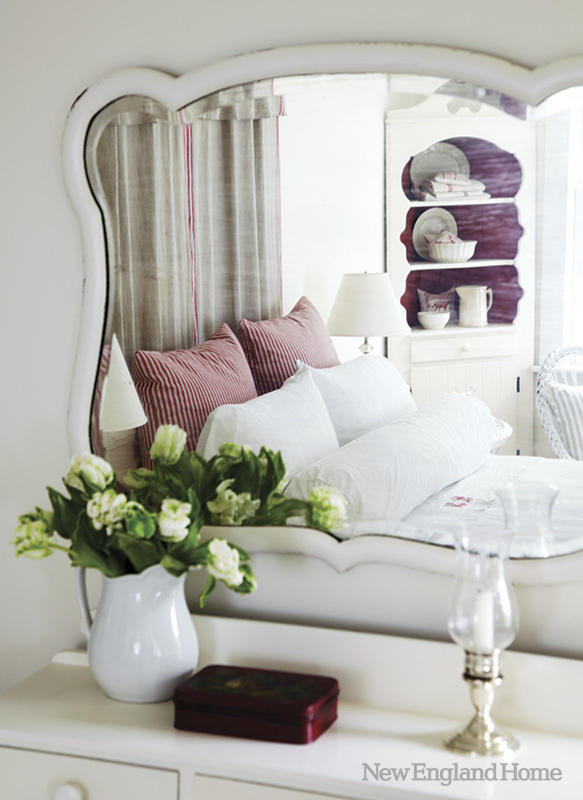 French fabric gives the illusion of a headboard in a guest bedroom. 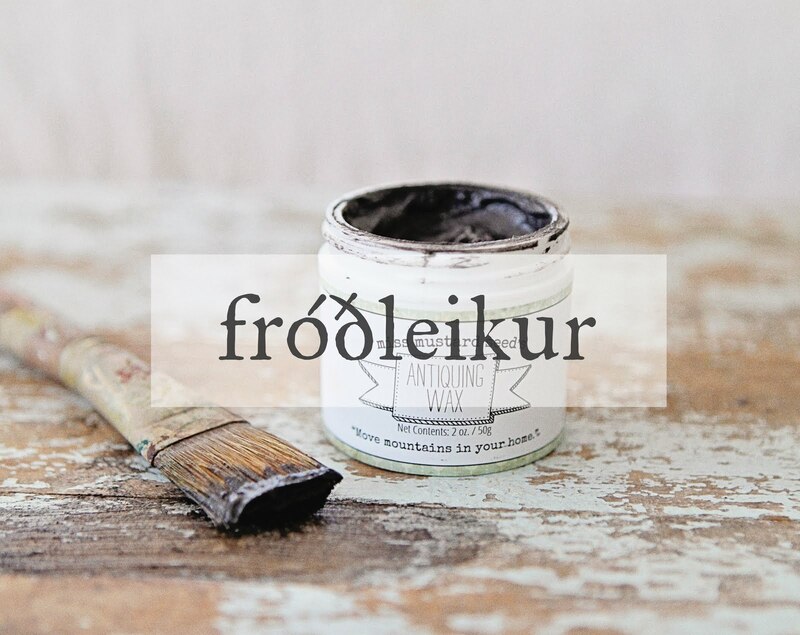 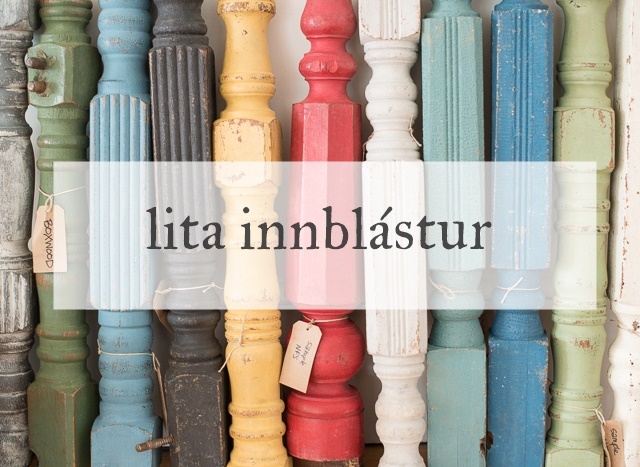 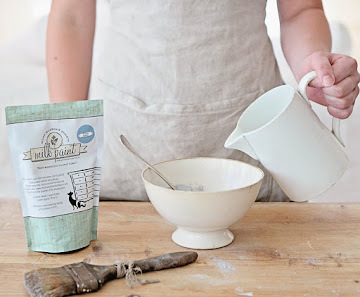 Ég veit ekki með ykkur en mér finst þetta heimili alveg einstaklega hlýlegt og kósý.